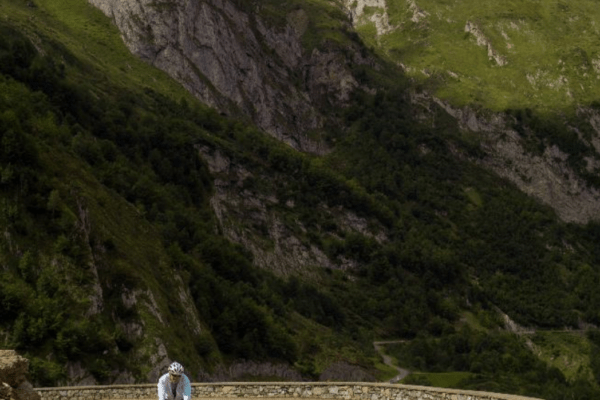 The high mountains of the Pyrenees are a playground for cyclists and promise to excite, enthral and challenge. 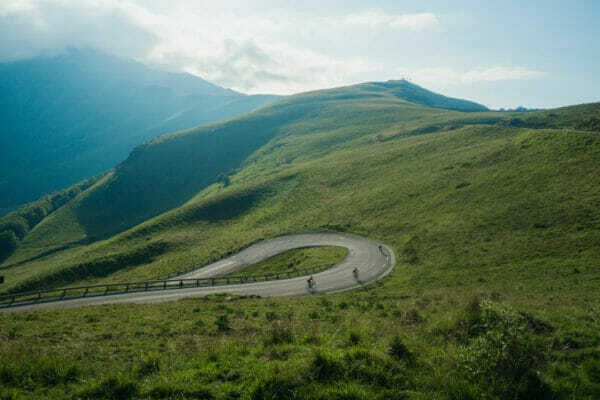 Sign up to our classic Trans-Pyrenees: Girona – San Sebastian ride, take on our Pyrenees Challenge, cheer on pro-riders at the Tour de France or relax on our Pyrenees retreat. 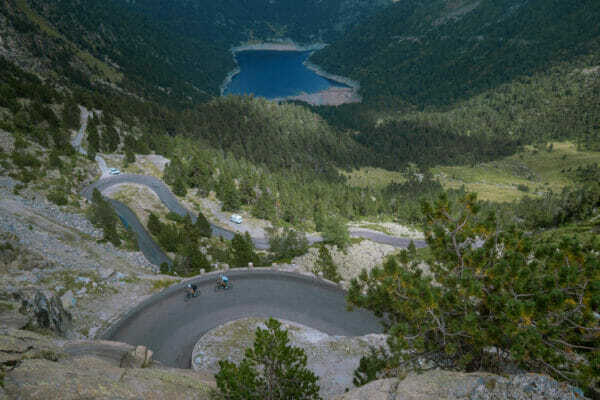 The Pyrenees stage Tour de France summit finishes every year: top climbs include the Tourmalet, Aspin, Peyresourde, Aubisque, Hautcam, Spandelles & Lac du Cap de Long. The best months to cycle are July, August & September. Mountain weather is notoriously changeable but makes the riding all the more spectacular. 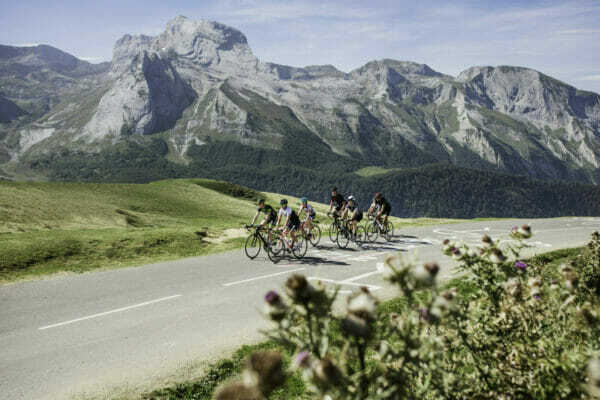 The Col d’Aubisque is a high mountain pass in the French Pyrenees and one of the most awe-inspiring climbs in the area. 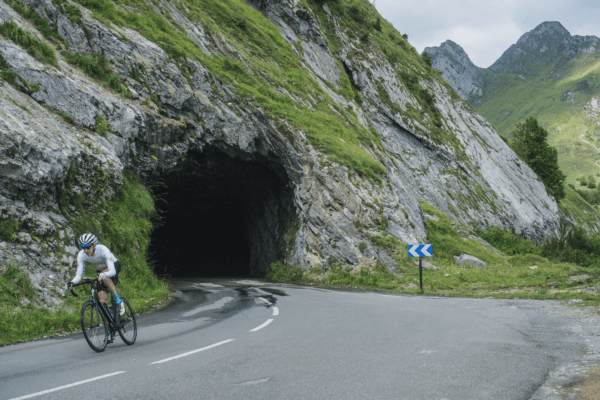 For cyclists, the Col d’Aubisque is a formidable ascent. 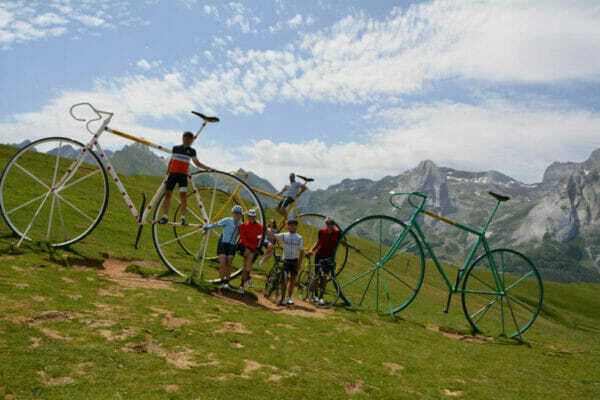 It is a regular feature of the Tour de France and first appeared in the race in 1910. It is often said that the Aubisque has its own micro climate as it is almost always covered by cloud. However, once you break through that cloud you are met with the most spectacular views you will ever see. 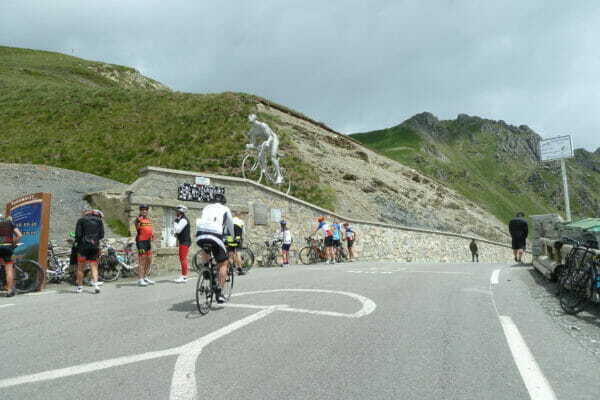 The roughly east-west road over the Col du Tourmalet is the Tour de France’s favorite high pass, having been included more than 80 times. It is situated in the central Pyrenees (between France and Spain) in the French department of Hautes-Pyrénées. The Col du Peyresourde connects Bagneres-du-Luchon to Arreau and forms part of the notorious ‘Circle of Death’ route used in the Tour de France. First crested in the 1910 Tour rider 1910 Octave Lapize, the climb is now best associated with Chris Froome, who used the Col as a launch pad to a stage victory in 2016. The final test is on the slopes of the Peyragudes, a short, steep ramp from the summit of the Peyresourde. Often used in the Tour de France the Col d’Aspin is often considered the smaller, easier little brother of the Tourmalet. The fact that the elevation is much lower than it’s neighbouring Cols means it’s rideable much earlier in the year while the other mountains of the Hautes-Pyrénées are still snow-capped. Col d’Aspin is the perfect climb for an easier day or for making a hard day just that little bit harder! The Hautacam is a real tough climb owing to it’s steep gradient. The climb starts steadily, between 5 and 7% to get you warmed up before hitting the 9 and 10% sloped of the middle section. Surprisingly the climb has only been used a total of five times in the Tour de France, the most recent occasion being in 2014 on the final mountain stage of the race won by Vincenzo Nibali. 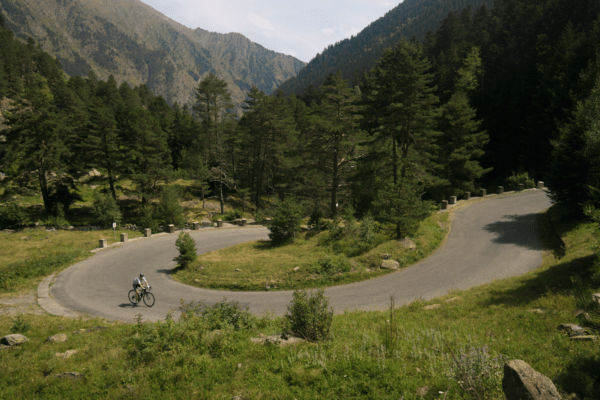 The Route des Lacs is lesser known but no less spectacular ride in the Pyrenees. The climb starts alongside a river and gently climbs to Fabian. Here the challenge kicks in and as the climb develops so does the spectacular scenery. Thick forest gives way to rocky hairpins and a birds-eye view acorss the Lac d’Oredon. The road ends at a colossal dam, Lac-de-Cap-de Long. This climb is a treat for the soul. When we were looking for an outfit to guide us through a cycling adventure through Pyrenean cols, [...]ESC were perfect. They personalized every aspect of the trip, from the routes to the hotels to the food.[...] ESC's local knowledge created a cycling trip that we won't soon forget. You just can't get this kind of attention and personalized catering from larger tour companies. I highly recommend booking your next cycling adventure with ESC. We're already looking forward to being with ESC in 2018. Chapeau, ESC! 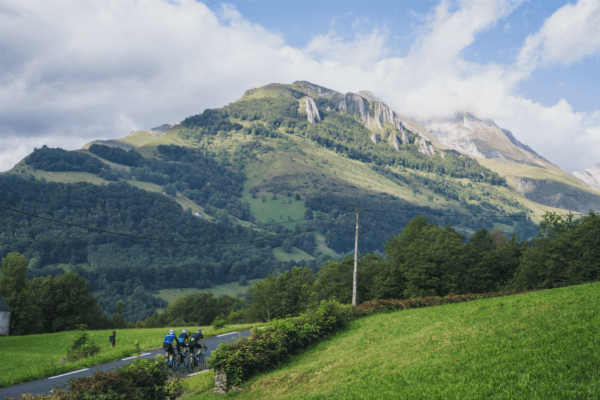 Every fit cycling enthusiast should ride the Pyrenees and Eat Sleep Cycle has put together a fantastic trip to do just that. Their inaugural trip in September 2016 was a huge success. Brian, Lee and Louise, the owners of Eat Sleep Cycle, made it fun and they understand the need for hydration, nutrition and rest on such an epic ride. Every night we stayed in great places that were quiet and we had huge delicious meals. On the road we had excellent support ensuring we never got hungry or thirsty. The route was absolutely magnificent. I would highly recommend a trip with them.